Happy Friday!! Looking for a new bar to hang out with friends in Lan Kwai Fong this weekend? K-Pocha would be one of your “must visit” bar and surely will give you a different bar experience. 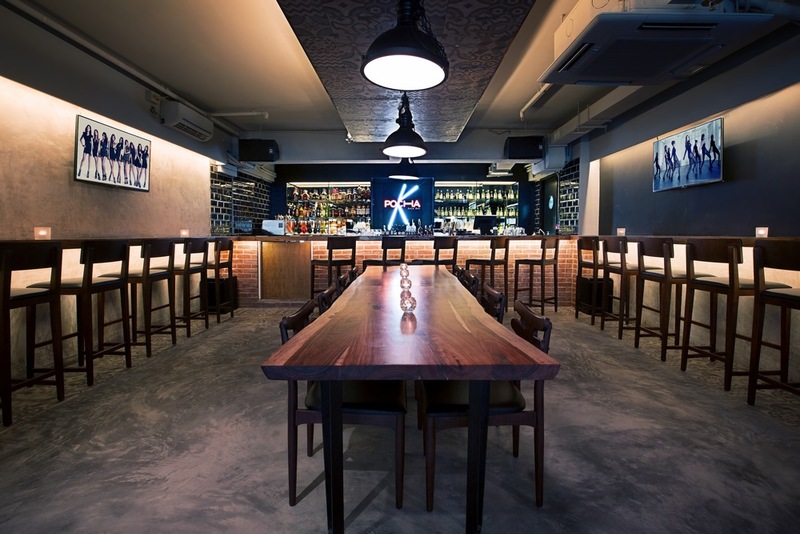 It is a Korean themed concept bar offers wide ranges of soju, impressive soju-based cocktails that made with fresh fruits from Korea and their exclusive home-brewed Korean rice wine, Makgeolli. To satisfy your hunger in between, a large portion of K-Pocha Fried Chicken (whole chicken) would be the best food to share with your friends. For those looking for spicy food, there’s a sensational traditional Korean street food “Dukboki” – rice cakes and seafood with Korean chili paste and melted cheese. Besides food and drinks, one of the best things in this bar is that they introduce the fun and exciting Korean cultural drinking games to their customers, like “007 Bang”, “Titanic”, “Jan-Chigi” and many more. Don’t miss their drinking package and super special daily offer during Happy Hour (6-9pm), buy one drink and Get one free with free flow K-Pocha fried chicken!! Address: 7/F Ho Lee Commercial Building, 38-44 D’Aguilar Street, Central, Hong Kong.